Joan Carling is an indigenous activist from the Cordillera, Philippines. She has been working on indigenous issues at the grassroots to international levels for more than 20 years. Her field of expertise includes human rights, sustainable development, environment, and climate change, as well as on the principles and application of Free Prior and Informed Consent (FPIC). She was the Secretary General of the Asia Indigenous Peoples Pact (AIPP) – a coalition of 50 indigenous organizations across Asia, from 2008 to 2016. 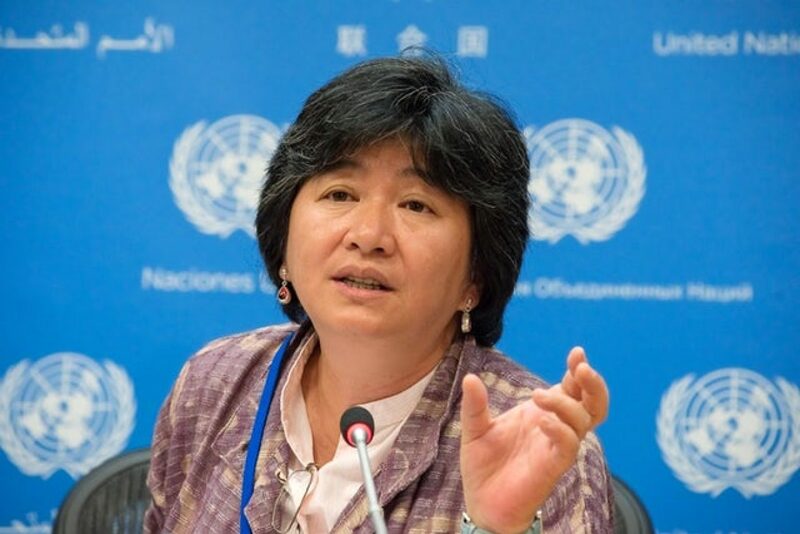 Ms. Carling was appointed by the UN ECOSOC as an expert- member of the UN Permanent Forum on Indigenous Issues (UNPFII) for 2014-16. She is currently the co-convenor of the Indigenous Peoples’ Major Group (IPMG) for Sustainable Development and works directly with indigenous organizations and networks across the globe.